Anwar Ibrahim may accused this blogger as spinning. Wan Azizah may have passed the buck to Tun Dr Mahathir. And he accused this blog for fake news. But, this blog always tell it as it is and the source of information is clear: be it opinion or analysis or sources. At times, we cannot disclose the source identity. They must be protected, even though there is the risk of being sued or investigated by law enforcement. This headline has its own risk as it is similar to criticising or accusing judges. Hope Tommy Thomas is aware that it is political in nature and to be taken in stride. That quote came from a “legal practitioner”. Tommy Thomas said those words to few other “legal practitioners”. Mind you, it is not easy to get the information. We had to meet the person at a hidden location in a stuffy smoky room and on the way, we had to switch cars to ward off any tailing cars. For all the trouble, it could be a futile effort. The list of political fumble by Tommy is getting longer by the day. Lim Guan Eng and Lim Kit Siang would naturally deny such alleged claim by Tommy but seriously, the Lims would be to ashame to be put in same company as Tommy. More so, a letter revealed that Tommy was taking instruction from cabinet. Nevertheless, the quote is politically believable for many reasons. 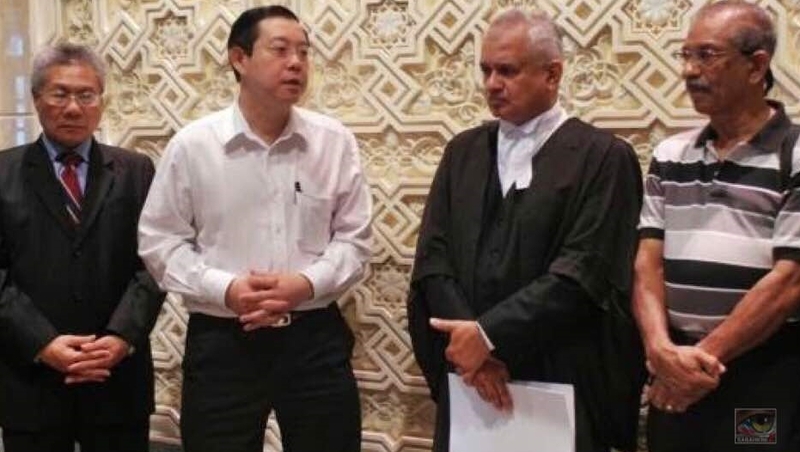 First, he got the Attorney General Chamber (AGC) to withdraw the case of Guan Eng’s Jalan Pinhorn home. It is a similar in nature with the case against Dato Dr Khir Toyo in which he was found guilty. 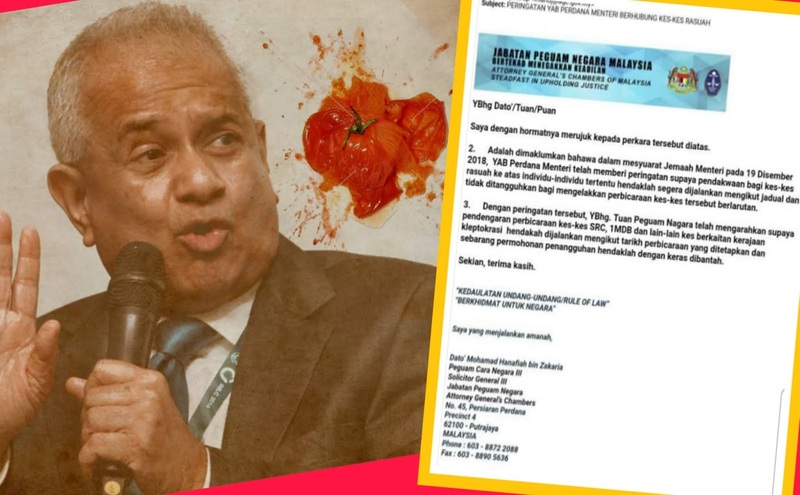 A blogger claimed Tun Dr Mahathir was not in the know of the plan which involved Lim Kit Siang, Tommy Thomas and a Federal Court judge, to say the least. He claimed they met together and there is a video. It is Friday and we can only say, “Wallahu alam bissawwab (Only god knows)”. 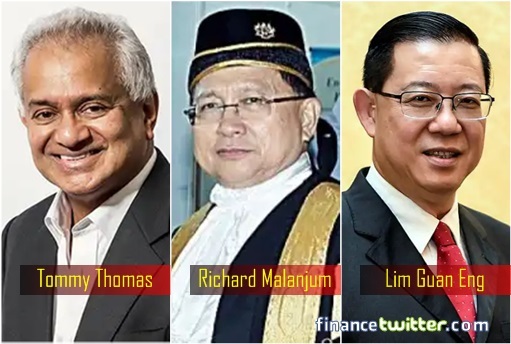 Second, he is politically influence-able for making extra additional three charges against Dato Najib on the SRC case, in which he is personally involved in the prosecution, immediately upon PH losing Cameron Highland by-election. The charges was funny as people in the know of the case claimed it is charging the same case again which was investigated by other enforcement agencies. Supposedly, Najib was re-“arrested” and then re-served with warrant to appear in court at 830am today. He is not detained overnight. Najib was re-charged in session court with the same three charges that was dropped in high court today. Tommy the acclaimed legal genius, so-called renown defense attorney, and constitutional expert with his 10 DPPs that went together to court to make the first of many Najib charges could not put the cases properly.